A leaf from a healthy Cascade bine. 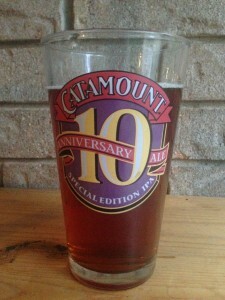 Sunday’s beer news, delivered Monday morning. Remember that recent BWJ article in which I discussed using dried, neutral ale yeast to hit your cell count when you didn’t have time to make a starter? Well, some confirmation that co-fermentation works with two of the strains I mentioned comes from a new product from White Labs — a blend of WLP001 (their neutral ale yeast) and WLP002 (their most popular English yeast). In other news, a brewery is brewing a beer using American hops. So what, you say? Tons of breweries do this. Not exactly. 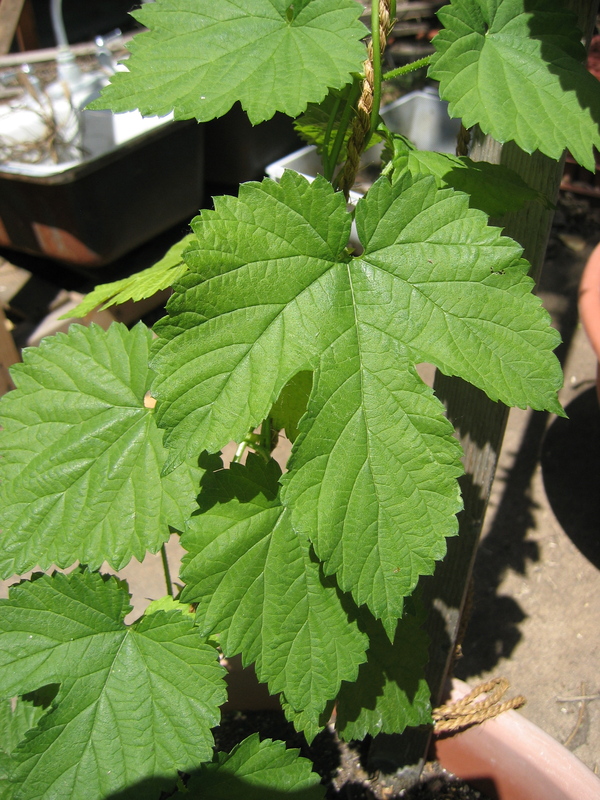 What we think of as “American” hops — Cascade, Columbus, Amarillo, Simcoe, etc. — are varieties derived from European hops (Humulus lupulus lupulus). They were bred in the US, but from varieties that trace back to European stock. The Crazy Mountain Brewrey has made beer from hops of the subspecies Humulus lupulus neomexicanus, a native of North America. This is the fifth installment in the All-Grain Brew Day Walkthough, which started with a post on strike water preparation. When the mash is over, there is a sudden flurry of activity by the brewer. 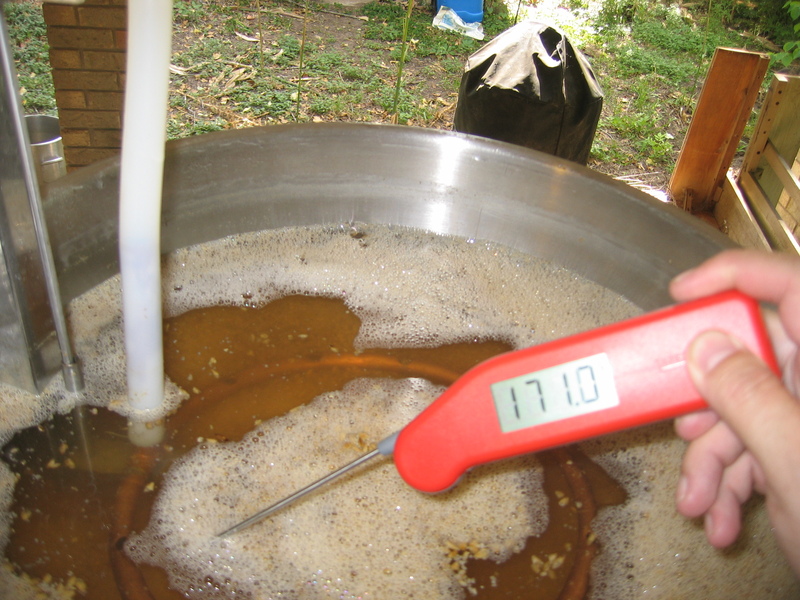 The brewer should mash out by heating the mash directly, or infusing it with boiling water, to raise the temperature to 170 °F (77 °C). If a brewer has mashed in his or her kettle, he or she may heat the mash to a couple degrees above this, then scoop the contents over to their lauter tun (where it will hopefully settle in around 170 °F (77 °C). In addition, if the brewer expects — based on past experience — that the grain bed temperature will decrease during recirculation, he may heat the mash to a few degrees over 170 °F (77 °C). With the relatively low pH of an undiluted mash, excess tannin extraction is not a problem, even when the grain bed exceeds 170 °F (77 °C). It’s not an enigma. It’s a simple, delicious ale. 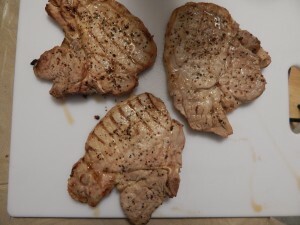 A few months ago, I ran a series of five beer recipes and titled them “Surefire Extract Recipes.” The name pretty much explains the idea — malt-extract-based recipes with a high probability of success. I’ve decided to go with three more and here’s the first of them, Bletchley’s Best Bitter. Situated between ordinary bitters and extra special bitters in the ranks of English pale ales, best bitters are balanced ales that walk the line between “weak” session beers and stronger English ales. Bletchley’s Best Bitter features British pale ale malt with a healthy dose of crystal malt. A firm hop bitterness and flavor of and aroma of Kent Goldings hops mingle with the estery fermentation character of the yeast. The crystal malt and yeast strain yield a full-bodied beer, without being cloyingly sweet. Brew this with quality malt and hops and you will love the flavor. A pale ale with an overall balance between the malt with a caramel touch, aromatic hops, full body and moderate carbonation. Mashing in is the mixing of water and grain. 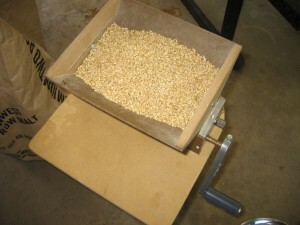 Mixing equal volumes of water and crushed malt yields a mash thickness around 1.0 qts./lb. 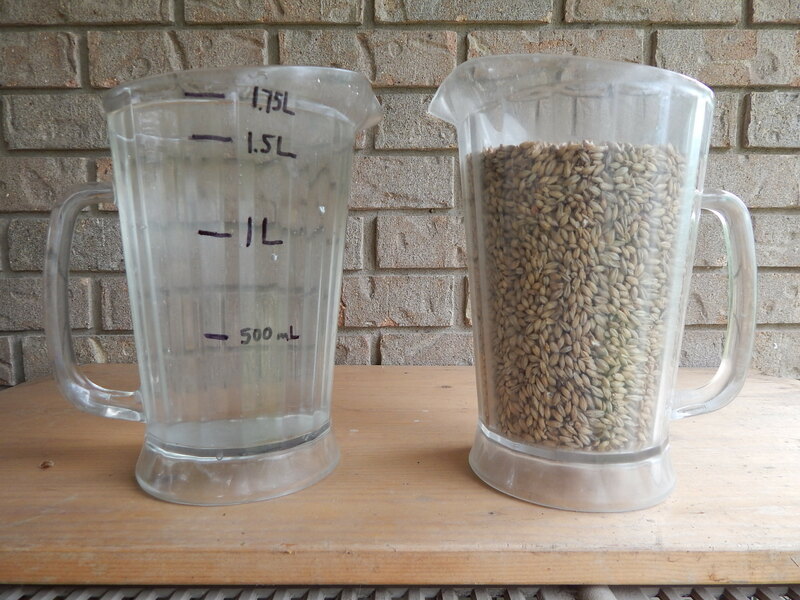 (2.1 L/kg), depending on how loosely the grains are settled. This is the third installment in the All-Grain Brew Day Walkthough, which started with a post on strike water preparation. Once the brewing liquor is heated and the grist is crushed, it’s time to mash in. Mashing in, or doughing in, is mixing the hot strike water with the crushed grains so they come to rest at the target mash temperature and thickness. 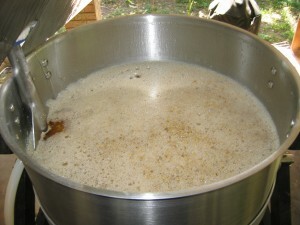 Homebrewers have a few options when it comes to mashing in. Spring has sprung and listicles are in bloom. Here’s one purporting to tell you the most refreshing beers of spring. If you’re in the mood for sour beers, here’s a list of the best new sour beers, according to the person compiling the list. And finally, if you’re in Texas, here’s a list that purports to divulge the best Texas craft breweries. This is another post in our series on IPA variants. Today’s post is written by Denny Conn, longtime homebrewer of rye IPAs and co-author, along with Drew Beechum, of the upcoming book, “Experimental Brews” (2014, Voyageur). Links to other articles in this series are given at the end of the post. Rye IPA brings the spicy “zing” of rye to an IPA grist, complememting the pale and crystal malts. India Pale Ale (IPA) is arguably the most popular craft beer style in America today. For evidence, all you have to do is look at the proliferation of variations on IPA. After beginning as an English style, hoppier and stronger than their pale ale, American IPAs came into vogue with the introduction of Anchor Liberty in 1975. It was the first American IPA brewed since the end of Prohibition. As the years passed and taste buds acclimated to the hoppy bitterness and aromatic fragrance of Cascade hops, it seemed a race began to make IPA bigger and more varied. 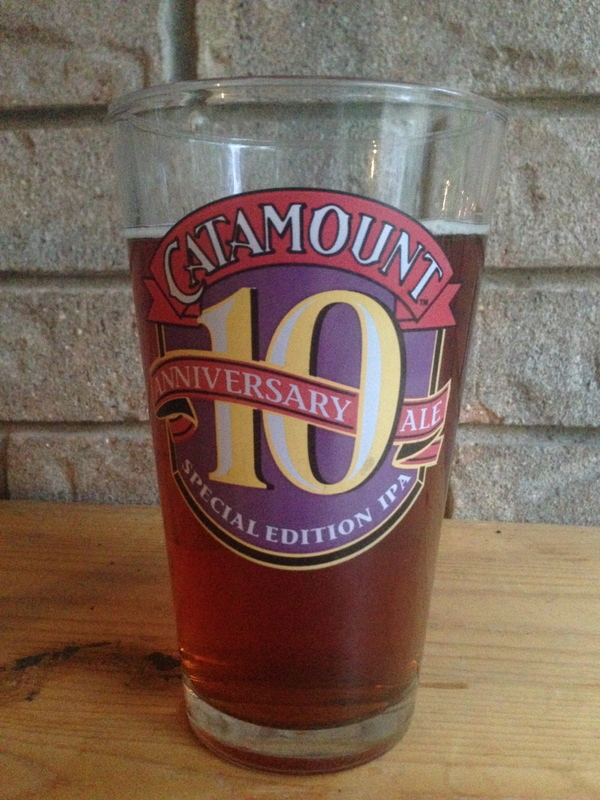 First came imperial IPA (sometimes referred to as double IPA), a short step away from American-style barleywine. In short order, we were introduced to Belgian IPA, black IPA, session IPA and others. Fortunately, in the midst of madness, there’s a sane variation . . . rye IPA. Rye is a perfect ingredient to add to an IPA. Its spiciness complements the hops. The earthy flavor is a perfect foil to the pale and crystal malts used to brew an IPA and rye adds a nice full mouthfeel that balances the hoppy bitterness in IPA. In short, rye is an ingredient that belongs in IPA! A two-roll homebrew grain mill, with some malt in the hopper. 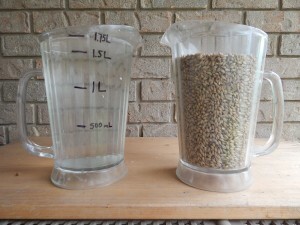 This is the second installment in the All-Grain Brew Day Walkthough, which started with a post on strike water preparation. Once your brewing liquor has been made, tasted, and is being heated towards strike temperature, it’s time to turn your focus to your grist. 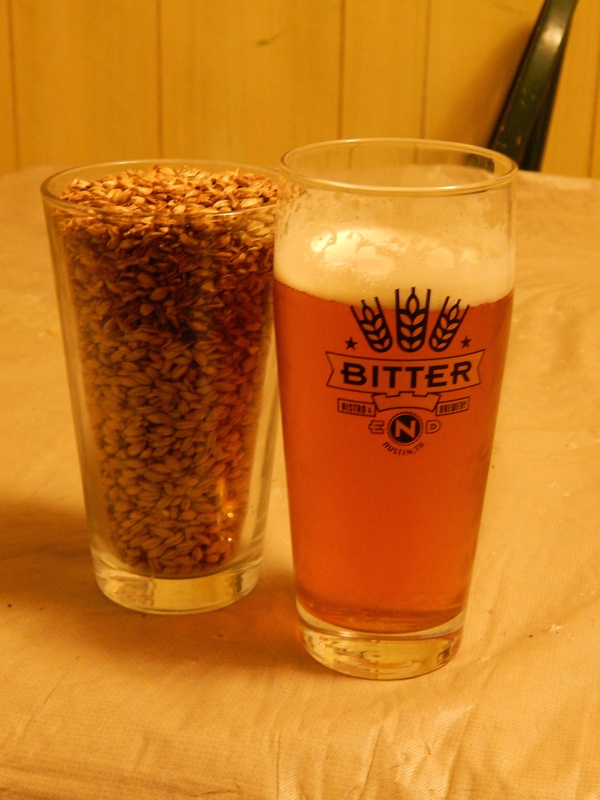 The first thing you should do is take a few kernels of your base malt and chew them. Most importantly, ensure that the malt has not gone stale. Secondarily, note any impressions you have of the flavor or aroma. If you’re new to brewing, you may find it hard to describe what you are sensing, but you will get better when you have other malts to use for comparison. You may also want to chew a few grains of the lighter specialty malts, such as crystal malts. Darkly-roasted grains — such as chocolate malt or black malt — are much harder and often very bitter when tasted alone. I usually just smell them to see if their aroma is good. Record your observations in your brewing notebook or brewing software, and it’s time to mill the grain.